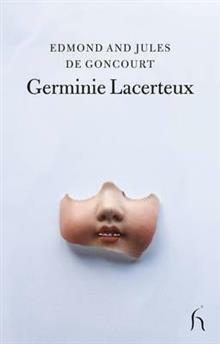 Germinie Lacerteux is forced to enter service in Paris in order to pay her way. In the service of Mlle de Varandeuil, Germinie realises that if she wishes to remain employed, she faces an unmarried life. Such a frustration of her maternal instincts engenders a deep devotion to he... read full description below. Orphaned at the age of four, Germinie Lacerteux is forced to enter service in Paris in order to pay her way. The story paints a vision of nineteenth-century Paris, haunted by poverty, death and despair. In the service of Mlle de Varandeuil, Germinie realises that if she wishes to remain employed, she faces an unmarried life. Such a frustration of her maternal instincts engenders a deep devotion to her niece; Germinie is crushed when the girl is removed by her parents. Many relationships of the same mould ensue, the heroine each time forging loving bonds that are broken. In the face of such drudgery, the Goncourt brothers reveal the value of such simple pleasures as a walk in the countryside; and through the story of Germinie Lacerteux's life, they examine questions of the individual's power - or powerlessness - to control his or her own fate. Brothers Edmond (1822-96) and Jules (1830-70) de Goncourt were pioneers of the Naturalist movement in literature and inspired authors including Emile Zola. They established France's most prestigious literary prize, the Prix Goncourt Ken Loach (1936-) is an English film and television director. He is known for his naturalistic directing style and for his socialist beliefs.